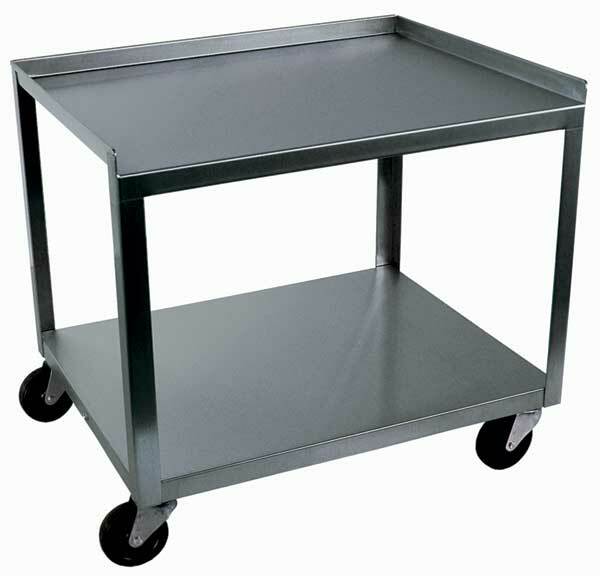 The MC314 Stainless Steel Utility Cart is another offering from RiversEdge Products. The smaller shelf size, 14″ X 14″, makes for convenient use with the new equipment on the market today. The slim footprint means the MC5038 can hide more easily that the larger utility carts. The cart only weighs 22 pounds but UPS dimensional weight is 45 pounds for shipping charges. Small footprint. Made in USA.